Several months ago our bills were a MESS! We were months behind on our Electric bill and just about every month at least one bill was paid late. Part of this was that we were still getting used to getting paid every other Friday verses the 15th and the 30th of the month. My mom got a new job 2 years ago and it was a rough transition especially after moving to a city with a higher cost of living. 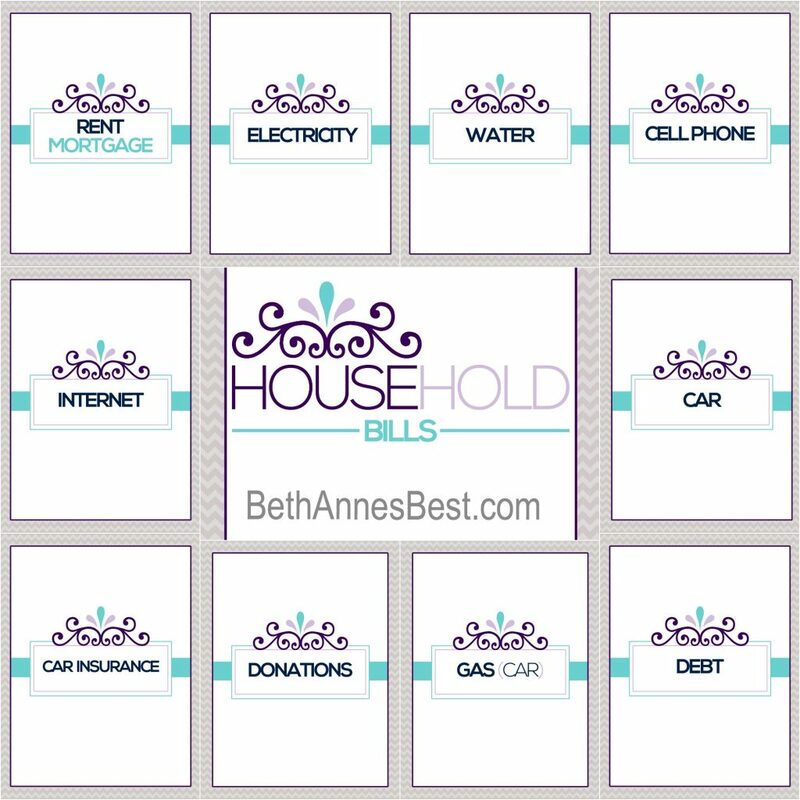 We are SO MUCH better off financially today than we were 3 years ago thanks to this system I have created for us.as until I found an Easy Binder Organization Bills & Mail. I’m going to be real with you readers. When our electricity got turned off for the umpteenth time I had had enough. I was frustrated. I was sick of the red notices on the door when I got home. Sick of spending nights in hotel rooms due to being without power or water or just staying in the dark. My sister had recently gotten engaged and we had a wedding to figure out how to pay for. Things had to change! So I decided to do some research. Everyone raved about Dave Ramsey and his envelope system. So I went and made envelopes for each of our expenses. Yeah that lasted a month. Taking all the cash out of the bank account after payday was a nuisance and just not practical. During this same time there were many other people in facebook groups with similar struggles. People were sharing tips and ideas. 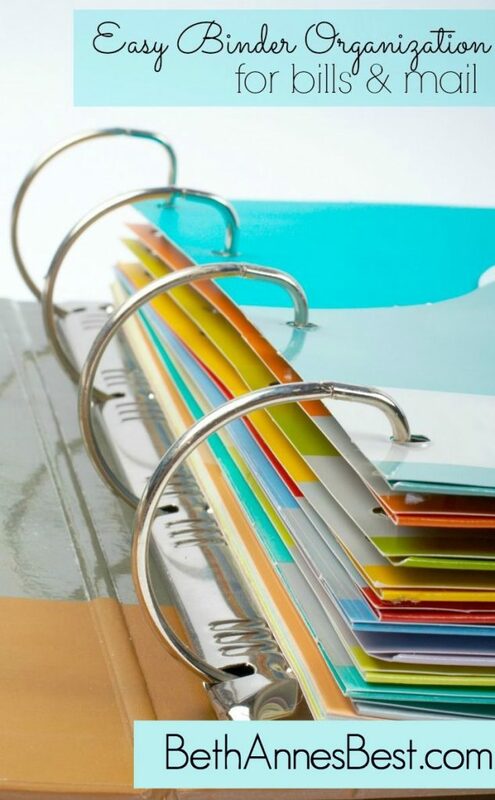 Then someone shared this pin on pinterest of a binder that I thought could solve all our problems. Then I felt like an idiot that I hadn’t thought of this myself as I love binders! 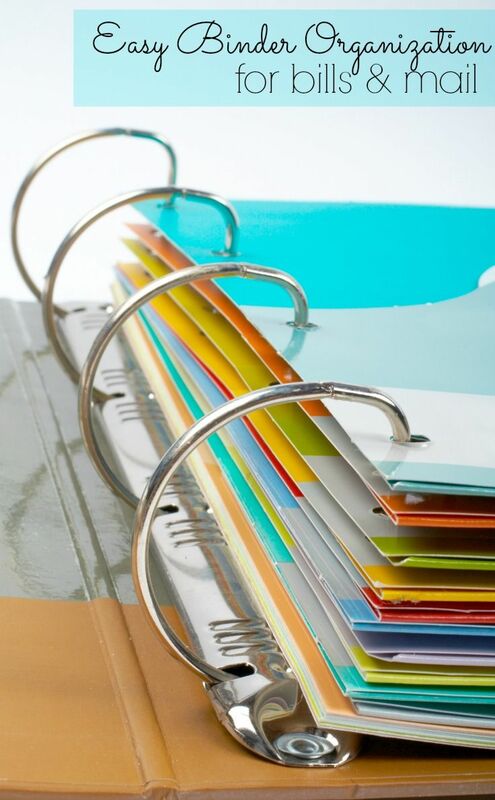 At every job I have had I’ve organized documents and paperwork in binders. For most classes I have taken I used binders to keep my papers organized. But for some reason I never thought to do it with all my bills, debt, mail, and other household papers. So I went to the store and bought binders, dividers, labels, a calculator, sharpies, highlighters, pens, pencil case, etc. (some of these things I already head in our school supply stash). 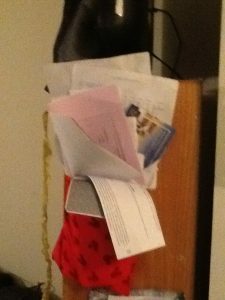 As we were going through all our stashed mail and bills and tried to copy the system I found online I realized I had to make a few changes. As we were going through the papers we found a lot of bills for debt we had to pay off. We also found debt just in my name, just in my moms name and just in my sisters name. We’re also a unique situation since we all pay a certain amount to pay all the shared expenses – rent, utilities, and cellphone and then we each have our own bills – car insurance, debt, and wedding expenses. I soon realized that 1 big binder was not going to work. We now have a 6 Binder System. I know this sounds like a lot but we don’t actually go into them all every week. Most of them are just to keep paperwork in an organized location. We mainly use the one big household budget binder. I have created them into a downloadable PDF you can purchase here. This binder has all the shared bills that everyone helps to pay. It starts with a simple budget I created and you can purchase here. I needed something super simple that wasn’t complicated! Trust me I downloaded about 20 templates before I just created my own. 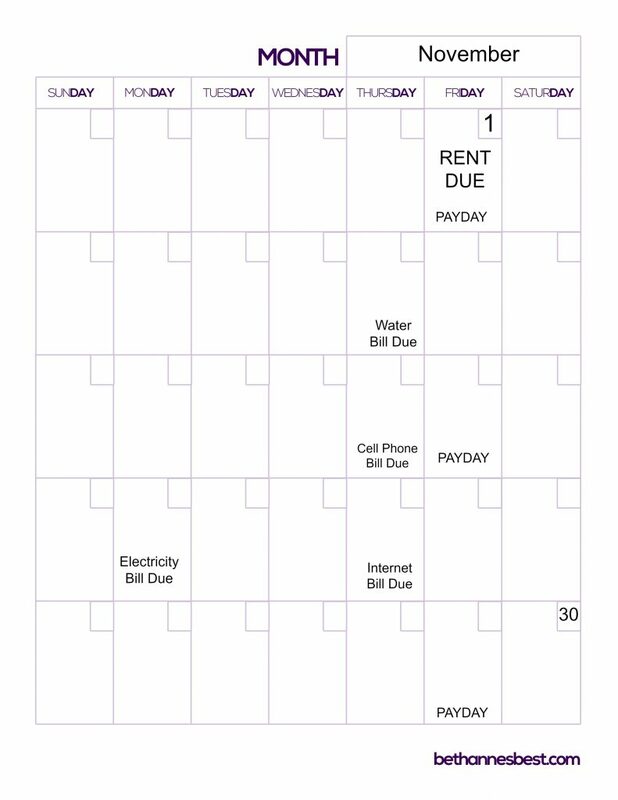 After that I have a calendar with all the paydays and due dates for bills on it to better see when things are due and which paydays will pay each bills. We all get paid on the same Fridays so it makes it easy (and sometimes not so easy to pay everything). You can download my CALENDAR template here. 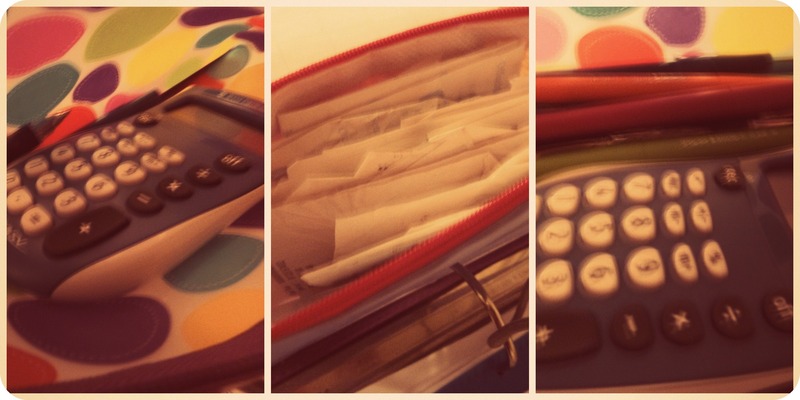 After all that I have two different pencil case pouches. One I have supplies that we need when we work on the bills – pens, highlighters, sharpies, and a calculator. The other has receipts for bills paid and items bought. 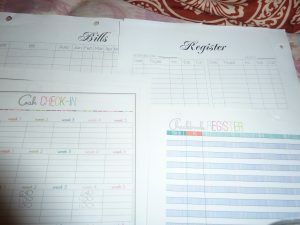 After this I had some check registers and cash check-ins and other printable worksheets but we weren’t using them and since creating the binder we use You Need A Budget (YNAB) to track our budget. Now the different dividers start. I have a divider for each separate bill. I know this can get cumbersome but it’s really the easiest way to keep track of everything separately. You can click here to purchase this set of dividers. Every day as the mail and bills come in I look at it and if it’s a bill or something that needs to be filed in the binder I put it in this pouch by the front door. Junk mail I trash immediately (no need to have extra clutter hanging around). We try not to let it get this bad…. After I pay a bill I write “PAID 11/15/13″ (or the date I paid it using a sharpie or highlighter). For expenses that didn’t have bills like the rent I have an invoice with the information so we can write “PAID” on the fake invoice. This makes it really easy when we flip through the binder each month to make sure everything has been paid. We also started calculating how much we need to save each month or paycheck for annual expenses. The picture below shows the monthly cost for our Car Registration. $5 a month seems a lot nicer than $60 in March. 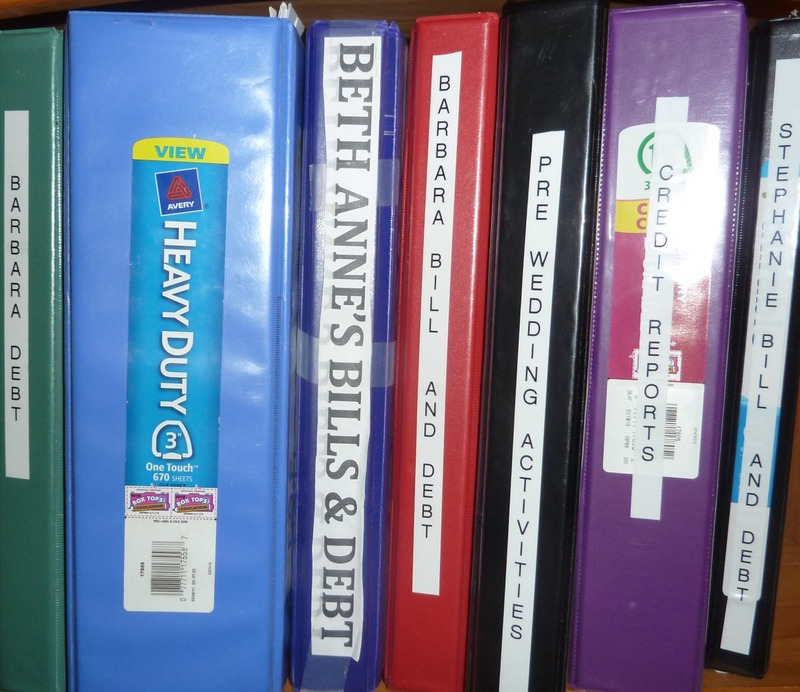 After the household binder we each have an individual binder that has our own paycheck stubs, personal bills and debt. Some of us have more than one because we have a lot of bills. For example, my mom has one just for her medial bills and paperwork. We also have a section called “PAID OFF” and as we pay bills off we take the divider out and put the documentation there. 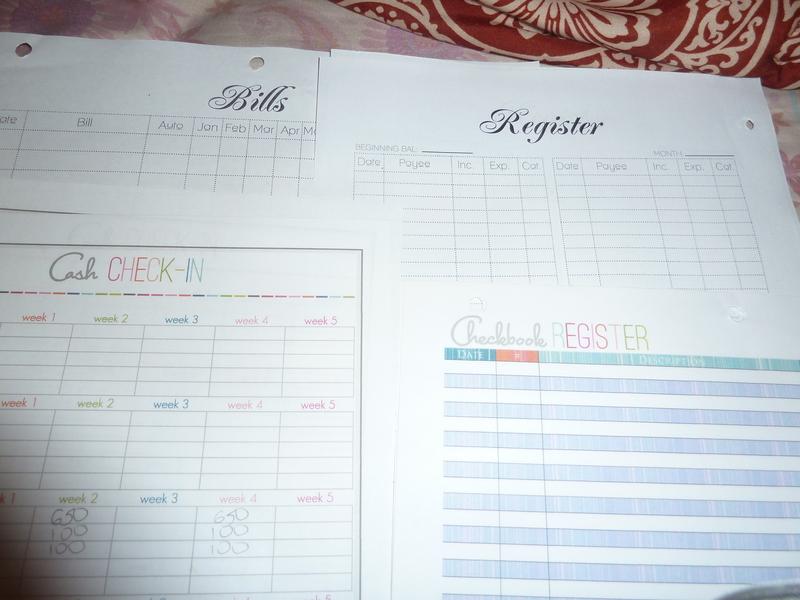 For $10 you can download all the printables I’ve mentioned in this post. 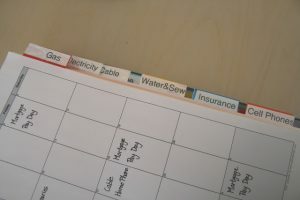 A Budget, Monthly Invoice, Calendar, and Binder Dividers. Wow, that seems so complicated! Most of my bills (rent, electricity, gas, insurrance …) are deducted automatically from my bank account. So easy! I think I only have to pay five to ten bills a years myself, so I pay those right away and don’t have to worry at all. Wow, congrats on this going viral! I’m happy that you and your family figured out a system that works for you. This is a great post! 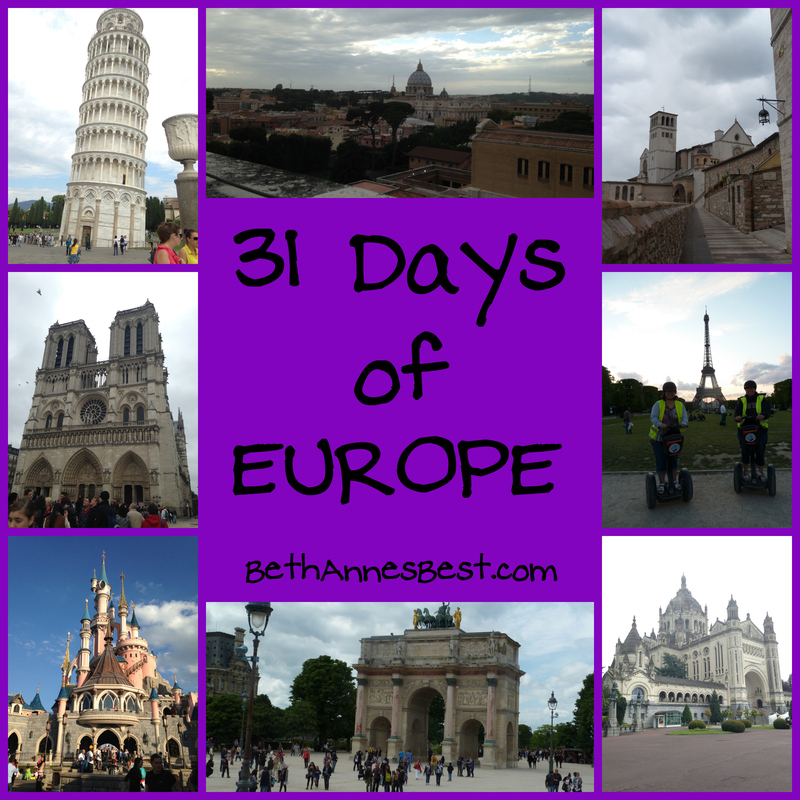 Trista recently posted…Can We Stop With the First World Problems? I love it when I find an organizational system that works for me. 🙂 makes life run so much smoother. Thanks for linking this up!